BIG is better! Well in most things - big is better. This Big Daddy is a real head-turner at the launch field! It's been redesigned to handle our super powerful E engines so it will fly over twice as high as it used to. Using Estes E engines, this highly streamlined rocket can reach a cloud topping 900 feet (274 m). If you prefer to keep it suborbital, it will also fly extremely well on C11 engines or D engines! 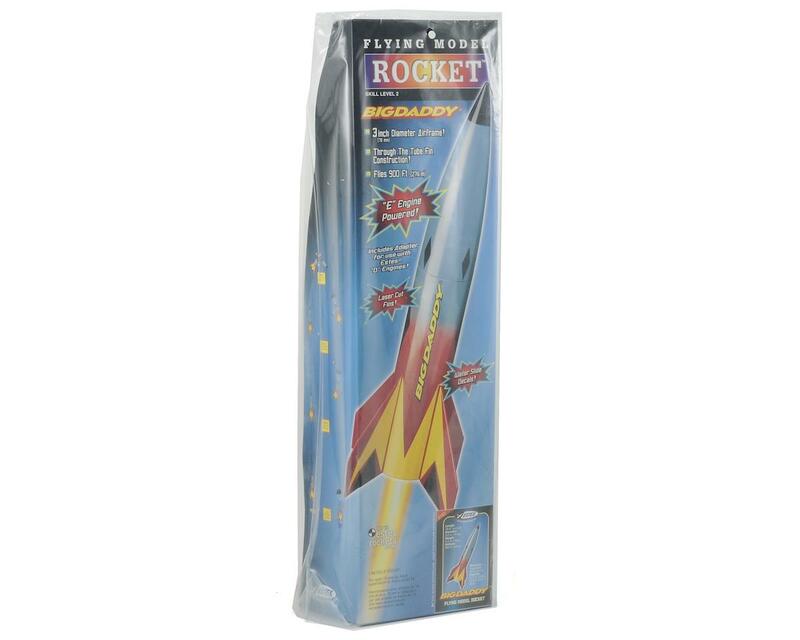 Either way, this extreme rocket is returned safely on a huge 24 inch (61 cm) preassembled parachute. 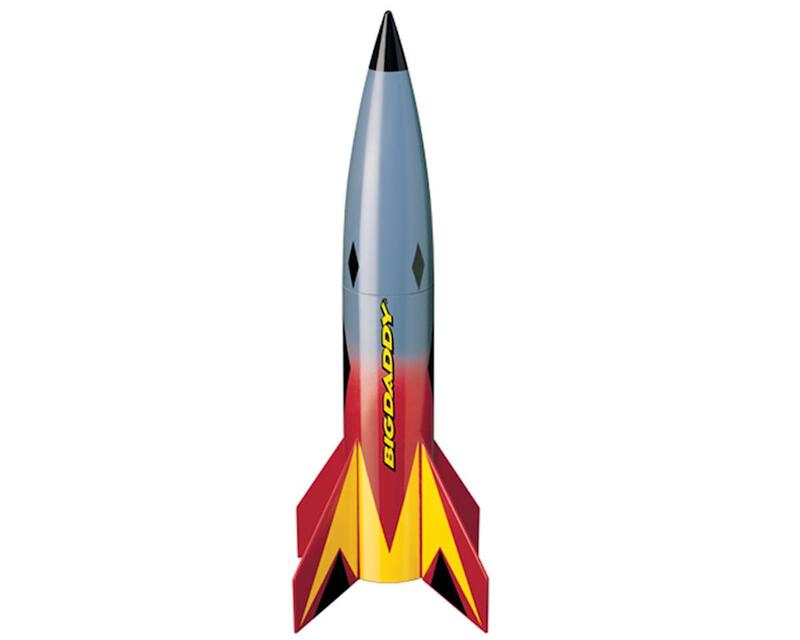 Standing just under 20 inches (51 cm) tall and having a Big Daddy waist size of 3 inches (76.22 mm), the Estes rocket engineers have given the Big Daddy a contemporary new look! The revised Skill Level 2 kit features laser cut balsa fins, an oversized slotted body tube for precision fin alignment and one of the biggest blow molded nose cones in the hobby. This high powered bullet is built to handle all the power you can stuff into the motor tube. Experience in model building and finishing is necessary to build this big guy, but the end result is worth the effort. Building tools, finishing supplies, Estes launch supplies including a 3/16 inch (5 mm) Maxi Launch Rod required - sold separately. E engine launches require the use of an Estes Porta-Pad E Launch Pad and E Launch Controller - sold separately. Recommended for ages 18 and up with adult supervision for those under 18.